First off my congratulations go to Stuart Townsend and Andrew Gregson who pulled together a program that was excellent, free of hype and as grounded as the title ‘Putting Data to Work’ suggests. Superb. Because of pressing commitments with the day job, I dipped in and out of what I thought would be the ‘best’ bits and was mostly right with only one session that really missed the mark for me. The highlight for me was Cukier who has come closest to providing a satisfactory definition of Big Data for me. As you may appreciate from previous posts, technical definitions based on volume are, strictly speaking, spot on but leave me a little cold. 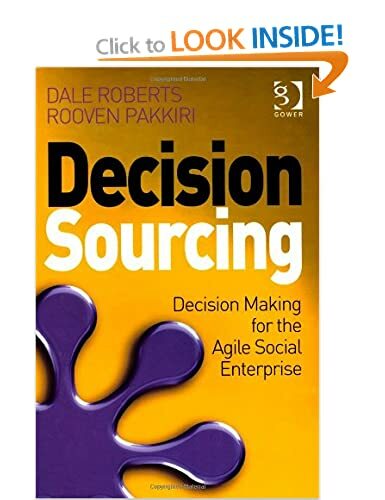 I attempt to get closer to something more vital (shameless plug alert) in Decision Sourcing (Roberts and Pakkiri, Gower 2013) by describing it as ambient. By describing it as such I am asserting that it is data that has always existed around us (temperature readings, product mentions, consumer comments, buyer behaviour) but it has only recently been captured and made available to us as data. Let me explain. If I abandon my basket in Sainsbury because I couldn’t find the one thing I came in for and it can be seen by the store manager when the close but not understood. Not so for Amazon. The thermostat in my home is the very definition of ‘there or thereabouts’ but a Nest captures, stores and learns from accurate readings. When I share how great brunch is at Balthazar around the office, someone may make a mental note. When I do it on Facebook, it’s a piece of data to go with the other 1.5 billion that day. The point is not that big data is big, though it is. It is that it wasn’t available to us before either because it wasn’t being captured (social mentions) or it’s volume and variety (web clicks, smart meter readings) made it impossible to store and analyse and therefore understand. As Cukier put’s it. Sometimes more is not just more. Sometimes it is so much more that it is different. Big Data Week 2013 seemed to be a great success to me. I look forward to New and Different Data Week 2014.